Are these really on wood? What exactly are they? Does/will PSA/SGC grade them? Do you have rare Jose Canseco cards? Let me know! mouschi-- If you go to the memorabilia side & search "Harper's", you'll find quite a bit of info. Last edited by JeremyW; 04-13-2019 at 09:44 AM. Not on wood, from a paper and I think I've seen a few graded. There was a great article in the Jan/Feb issue #14 of VCBC - if you can find one. Well, paper is technically wood pulp, right? Didn't they etch a wood plank in reverse and then ink it? Harper's Weekly was an entertainment newspaper that was issued in the latter half of the 19th century. It covered baseball and would periodically have an artist's rendition, in the form of a woodcut, depicting a famous team or a game in action. They were printed using an engraved wood block, hence the term woodcut. Most are relatively inexpensive, usually in the $50-150 range. It makes absolutely no sense to have them graded, as it might cost more to grade them than to buy them. They are a great way to get original 19th century baseball memorabilia cheaply, and the illustrations are very well done. None are especially rare so you can actually complete the set of around 35 woodcuts with a bit of patience. Last edited by barrysloate; 04-13-2019 at 06:42 PM. They did carve the image into wood. With the detail they have probably endgrain maple. Many of the papers of the time were not on wood pulp paper, but paper with a high rag content, cotton and linen fibers. And sometimes it's nearly acid free so it holds up well instead of getting brown and brittle. The woodcuts were magazine pictures. However, unlike in the 1900s and today with reprint technologies, the prints were made directly from hand carved blocks blocks of wood (thus the name woodcuts) and thus are original works of art-- as original as a Rembrant or Picasso in a museum. They also have great graphics, and are great for framing and display. You can find them from as early as the 1850s. I could be wrong, but isn't the James Creighton woodcut somewhat rarer? They seem to sell for decent money, but that may be just due to his status and the fact that there is hardly any memorabilia that exists for him. Last edited by Jason19th; 04-15-2019 at 09:27 AM. Indeed. I have all of the Harper's and the Leslies. Pre-1900. They are newspapers, but very old newspapers, and they are very cool in my opinion. None of mine are graded. Would never think of grading them. I don't grade my books, publications, sheet music etc. either. I do know there were more than a few people who took clips cut from Reach and Spalding guides, graded, slabbed and sold them on ebay as "cards". I am not sure what the baseball ones sell for, but some from the Civil War period sell for very good money. 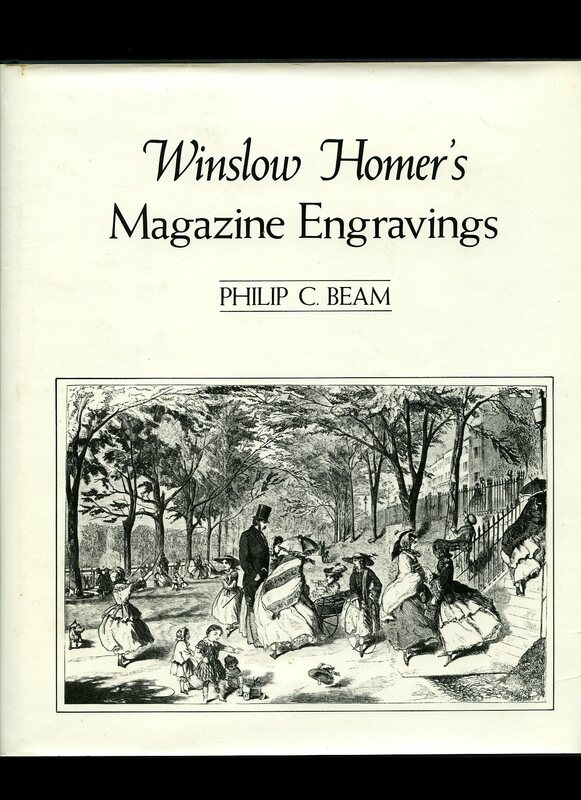 One of the main artists for Harper's Weekly during the Civil War was Winslow Homer. His initials are found in all of the sketches he did for them. One of his most famous is a two page spread from the center of the paper called 'The Sharpshooter'. I recall seeing this one sell for well over $500.00 years ago. Sometime in the late 1980's the Portland Museum of Art in Maine had an exhibit of his Harper's sketches along with studies for some of his well known paintings including 'Breezing Up'. Do you display them? I won the one in LOTG the other night, and was planning on having it matted and framed, but am concerned about fading. I have some of the major ones that (I have duplicates of) archivally matted and framed, sometimes with a plating when I give them to my grandkids for their rooms. When I do, I display the wood cut, with the remainder of the newspaper behind it and the matting so that it is complete. No fading that I have seen, but also no direct lighting. Last edited by TMKenKen; 04-15-2019 at 02:22 PM. Relatively speaking, and with prudent care, they can be displayed. The ink is pretty permanent, and the paper is much less susceptible to aging than later newspapers paper. Newspapers from the 1900s have much more woodpulp in them, which causes them, to turn brown and crumbly. Counterintuitively, newspapers from 1770 can be in far superior shape than ones from 1970, because of the lack of wood pulp in 1700s paper. Harper's has some wooldpulp, but a fraction of 1900s paper. Last edited by drcy; 04-15-2019 at 02:44 PM. I just saw this question, sorry for the late response. The full page Jim Creighton is indeed a little harder to find, and a bit more expensive, but as stated by Jason it was issued by Leslie's. The very first baseball woodcut, and as such the first illustration of baseball in an American newspaper, was featured in the Spirit of the Times on September 12, 1857. The Spirit was likewise a weekly paper of sporting events of all kinds, and the front page illustration of a game in progress is a classic (and decidedly scarce). Last edited by barrysloate; 04-15-2019 at 03:49 PM. Last edited by drcy; 04-15-2019 at 04:43 PM. You can collect Harper's Woodcuts by the famous painter Winslow Homer (he did a lot of them, many grade A, and there are books about them), and by Western artist Frederic Remington. In fact, Remington did a series of football woodcuts. So woodcut collecting goes far beyond baseball and sport. A fascinating area. 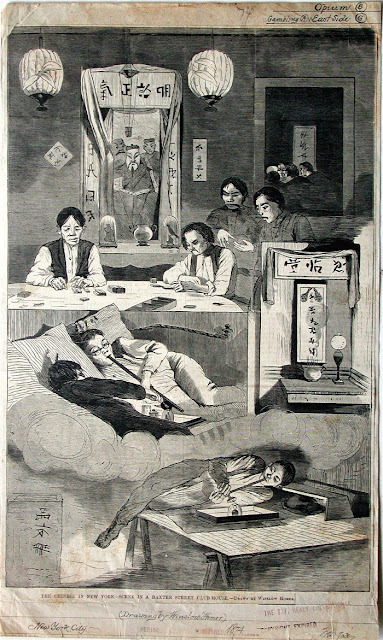 It's hard to find a good opium den these days. I live in Seattle and there's a pot shop on my block. For the record, I've never been in it. I had that (I had a bound volume containing all of the issues for that year), but for pressing reasons was forced to sell it and a number of items. I have not been able to replace it, but I continue to search. Right, rag paper much more enduring. Includes a chapter on paper. Have one on my shelf! !